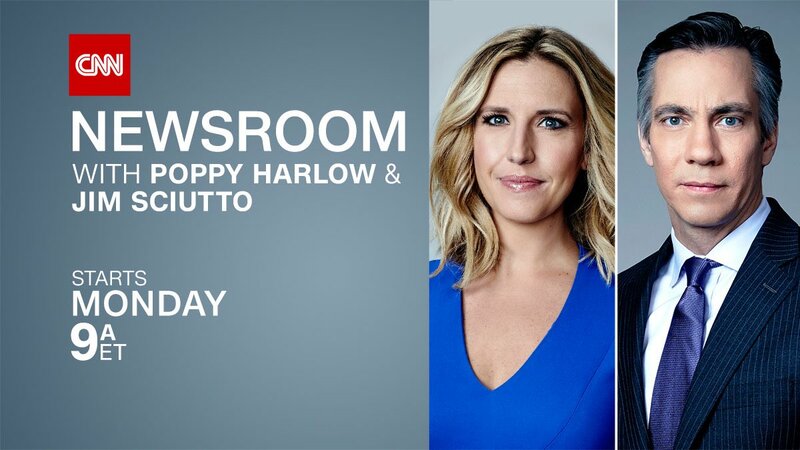 After months of anchoring CNN Newsroon from 9:00am-11:00am solo, following John Berman’s move to New Day, CNN’s Jeff Zucker this morning announced Poppy Harlow’s new co-host: chief national security correspondent Jim Sciutto. Sciutto will join the show beginning Monday, September 17. He will continue to serve in his role as chief national security correspondent for the network, but will re-locate from the network’s Washington, DC bureau and move to New York City. Certified dyed in the wool Trump-hater. CNN stamp of approval. Never understood the Poppy Harlow hire. The poor gal was born with a terrible voice made for newspapers — not as a TV host. When will CNN US stop shifting the same presenters around and actually bring in some new faces, same old, same old in different time slots.